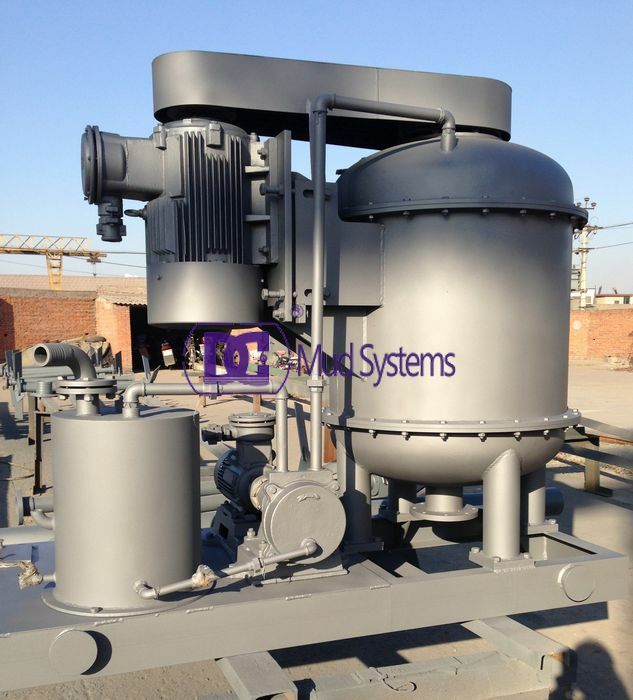 Vacuum degasser according to a preset program runs daily degassing , degassing through two stages. system fluid through the solenoid valve into the degassing tank , all the gas contained in the liquid will be released and the top off the tank through the air release valve and automatic separation system . With the inlet valve closed , vacuum stage of the process begins. Vertical multistage pump tank be continuously evacuated , create a negative pressure state , the gas dissolved in the liquid release , and gathered at the top of the tank is discharged through the automatic vent valve , inlet valve is opened again at this time , a new liquid into the tank , those who have no gas , with absorbent liquid is re- injected back into the system involved in circulation, and can absorb gases already in the system , when these fluids re-entering the degasser , those new gas Similarly dissolve is evacuated . 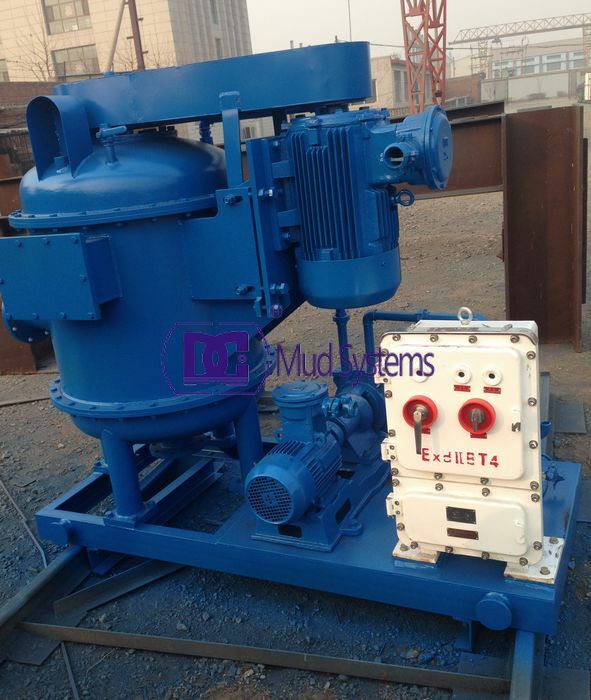 These units vacuum degasser are positioned downstream from mud/gas separators, gumbo removal equipments (if utilized), shale shakers, and mud conditioners (if utilized) while hydrocyclone desanders and decanting centrifuges follow in the arrangement. If you want to learn more about it, please contact me.